Last month's home renovations did little to slake our thirst for new acquisitions. Busy as ever, these're the standout items for the past month or so. Most of 'em picked up on the relative cheap or, in the best-case scenario, gratis AND hand-delivered. 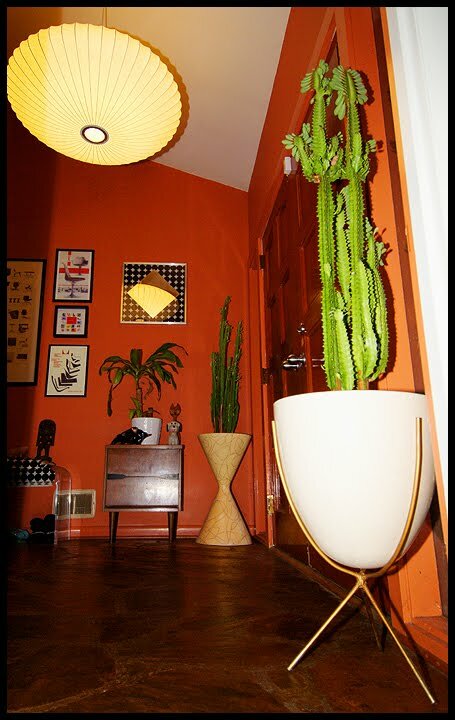 A criminally neglected Laurel lamp found on Atlanta's Craigslist was the source of last weekend's adventure. We've turned up a few in the past year, but the hand-blown glass shades were always missing or the lamp bases were badly chipped / pitted. Fortunately, that wasn't the case this time. We purchased it off the original owner who'd babied the lamp until its eventual release. 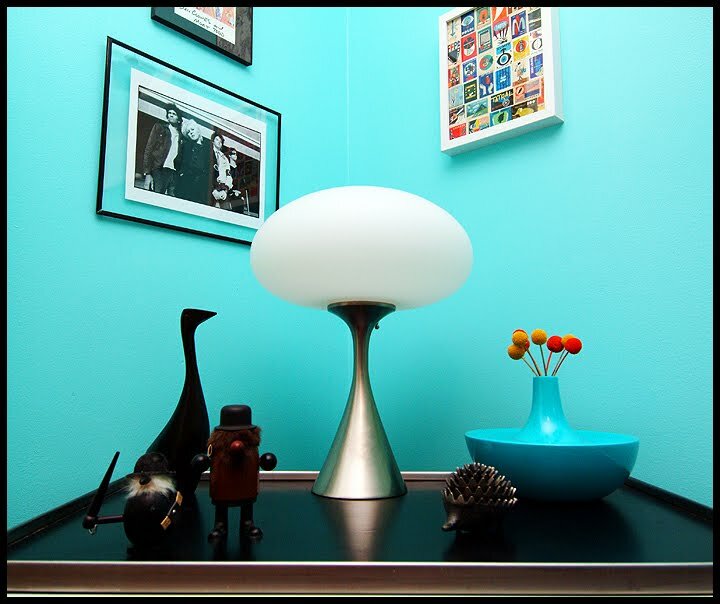 Easily one of our favorite lamps of the 60s! Valery's love of planters continues! This speckled ceramic beauty was found at our favorite local antique store. We tried fruitlessly to get the speckling to show up in the photograph. It's really an awesome piece ...and quite heavy! 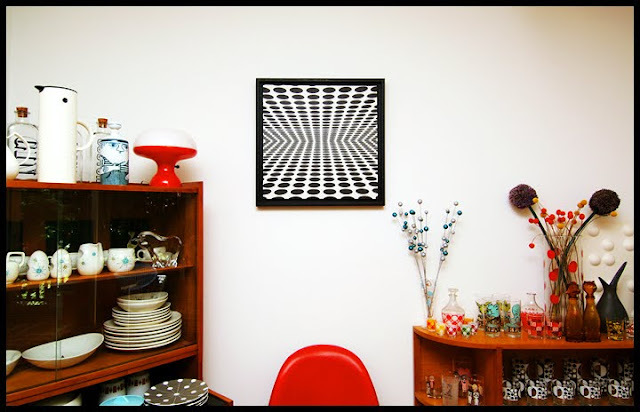 This small op art painting was found languishing in the dark corner of a nearby store. Though it could stand to be a little bit larger in size, we're thrilled by how perfectly it fits the room. Staring at this piece for extended periods is guaranteed to induce physical distress. Ever the good house-guest, our pal Collin refused to show up empty-handed during his last visit, lugging a salvaged General Electric "Show 'n Tell - Phono Viewer" around as a present. 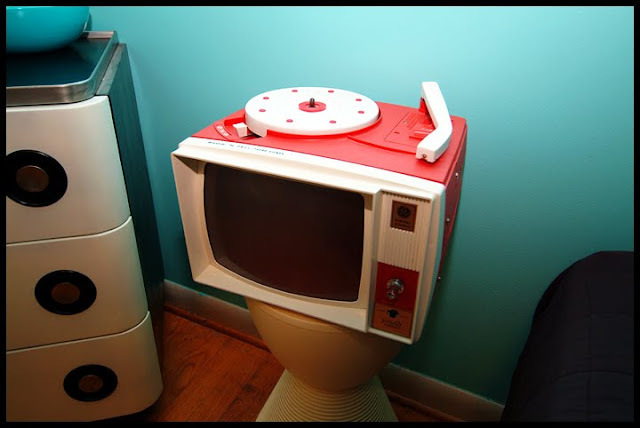 We're always happy to accept more vintage electronics ...especially when they're free! If Collin could only find us a nice copy of the Louvin Brothers' Satan Is Real, we might let him sleep in the house next time! Thanks again, dewd! Our Flickr buddy, Wooden Donkey, introduced us to this li'l guy a short while back. Manufactured in Germany in the 60s, this porcelain decanter was produced by a company called Altenkunstadt. There are a few others in the series and we're hoping we can track 'em all down eventually. Thanks again, WD! Last but certainly not least, we were finally able to track down this scarce piece of Metlox Contempora. 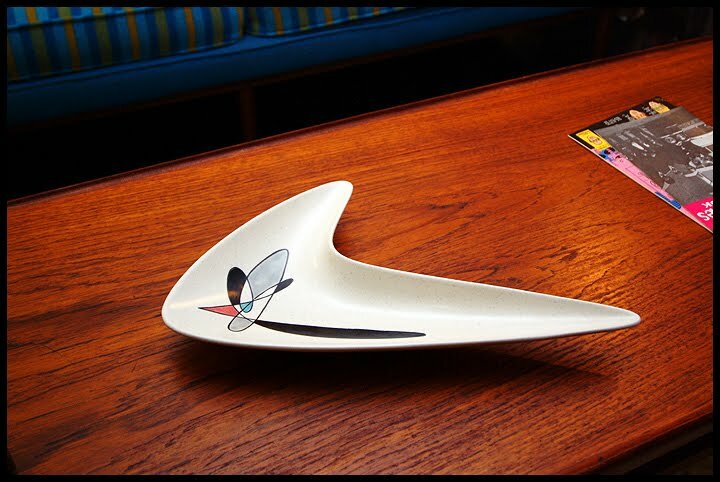 This jawbone / boomerang serving dish has been a long-standing want and we're glad to finally have one around the house. 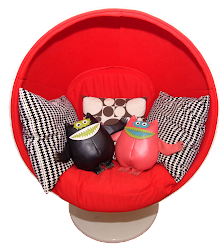 There are still several other pieces from this line that we're actively seeking out, so if you have any for sale, please let us know! That's it for now. Stay tuned for our recent record scores! Great stuff as always...My mind is still blown from the record room!!! That's gonna be a hard one to top! 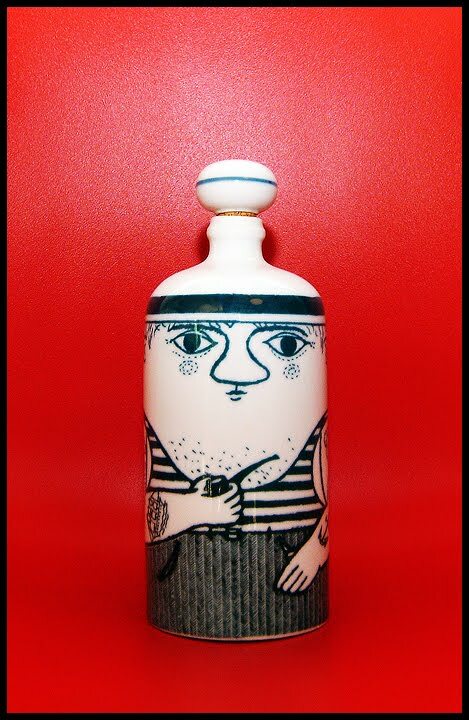 I found a few of those Altenkunststadt decanters in an antique store recently. There were 4 different ones, but the lady asked 20 Euro a pop so i passed. Goddamn, man, we demand a photograph! 20 Euros is pretty much the going rate on 'em. I'm sure you could find 'em for cheaper since you're in Germany ...for us, not so much.